At age 15, Ari is a loner who has never had a friend before — until he meets Dante at the swimming pool. When Dante offers to teach Ari how to swim, the boys discover they make each other laugh, which seems more important than the fact that they have little in common. Dante’s love of books and art, as well as his open appreciation of his parents, makes Ari look at his own family differently and inspires him to try to uncover the mystery of his dad, who rarely speaks. Over two summers and the intervening school year, the boys share laughs, secrets, and philosophies. As Aristotle tries to figure out his role in the universe, the importance of Dante’s friendship both bothers him and keeps him going — and, ultimately, changes the course of his life. The story is narrated by Ari and it’s his point of view that colours the narrative. Ari is a loner who likes to wallow in its loneliness and who is in a state of constant anger: at the secrets his family keeps from him, at his father for not being open and talkative. Dante is in a way, his opposite: quick to laugh and play, an artist and philosopher as well as a crier. Except as it turns out, they are not so different after all – and soon Ari learns to love poetry and philosophy and words whilst still being the same questioning, angry Ari (it takes him some time to learn that boys can cry too). The letting go of this anger (for a myriad of reasons) is one of the driving points of the novel and one that comes with a series of moments of self-discovery and life-discovery. It’s interesting how Ari’s narrative is somewhat unreliable although not on purpose because it is very clear that Ari represses his feelings and don’t tell us how he truly feels about certain things because he doesn’t know them either – but his actions speak more than a thousand words. 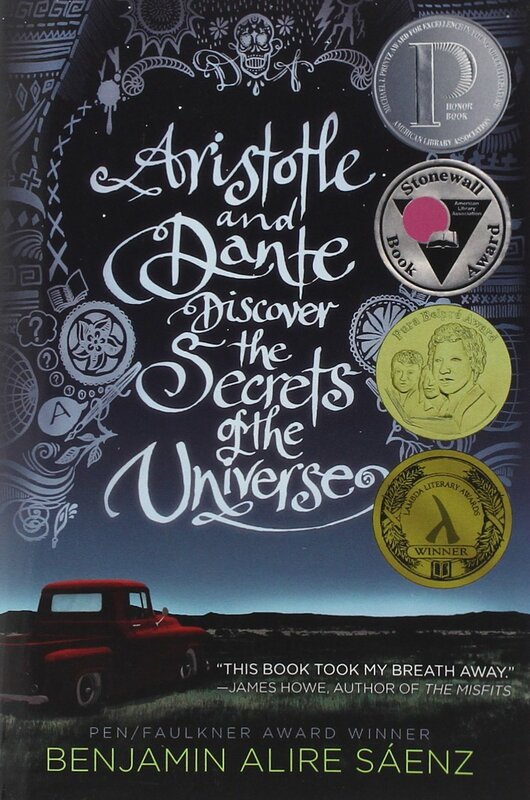 Aristotle and Dante is a smart, intelligent, engaging coming-of-age story and a deep, thoughtful exploration of identity and sexuality. It turns out that both Ari and Dante are gay although it takes Ari the whole book to come to terms with it, whereas Dante is much more conformable in his own skin when it comes to his sexual identity. But there are other sides of who they are that are also thoughtfully examined here. Sounds like an interesting story. Lemme know when it’s a movie and free on YouTube. €8.91 on Amazon. The French translation is twice that price, what a scam! I had a €5 coupon, but it does not work for books, so altogether I paid €7.60. Definately, I will read it. Love the sound of this story with two iconic names in history. My favorite book. Of all books. Highly recommend reading it (not recommending reading anything that can spoil the story though). Read this few years ago. Amazon Kindle. I guess Amazon adjust pricing if a book increases it’s sales. I’ve read this book twice… it’s a good read. Also there’s a movie adaptation on the works. I love this book! Thanks so much for posting it!